Gift giving can be made more special when the gift you are giving is personalized. It becomes all the more special when it is something handmade. For those hard to shop for people in your lives, check out this collection of personalizd gift ideas that you can make. Even small gift items can be made more special with a little personalization. I actually just recently made monogrammed party favors for my daughter’s wedding this past weekend. All I used were tasty moon pies that I unpackaged, added a monogram with icing and re-packaged with some further personalization. I got this gift idea from The Knot and it was a big hit. 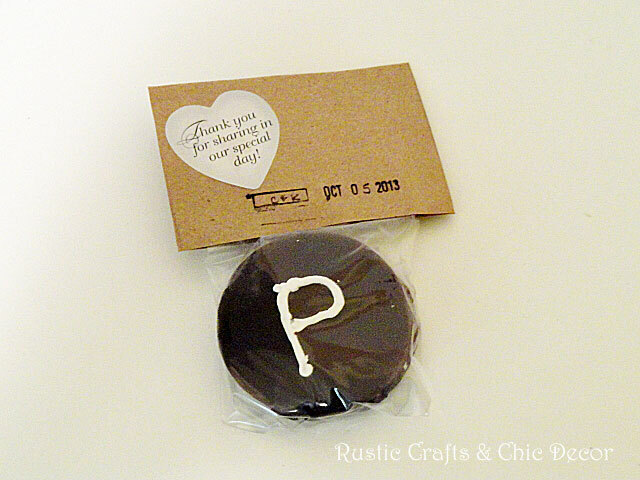 You can really personalize any way you want with the icing and then the new label for a wide range of occasions. 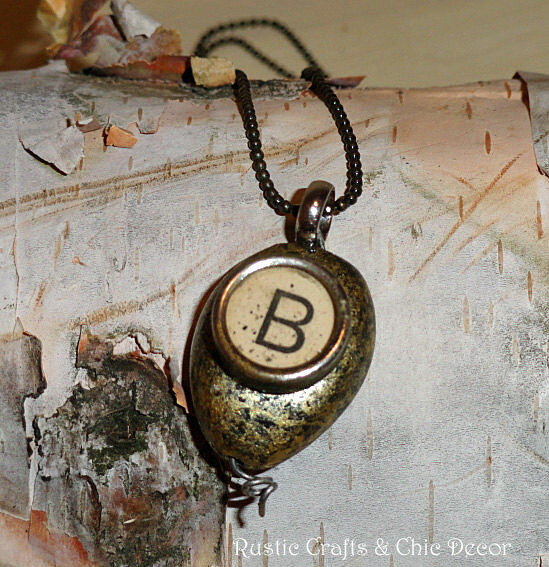 Vintage typewriter keys are an excellent item to use in craft projects to personalize with. I like using the oldest ones that I can find because they look the most rustic. An easy idea is to simply make a pendant necklace with an initial monogram. Check out my necklace tutorial here. Bracelets are another idea where you have the room to spell out a whole word or two. The keys are also fun to glue to picture frames, vases or really any object you can think of that you want to personalize in a creative way. You could also use Scrabble letters. Wall art is easy to personalize too. Obviously, a photo is about as personal as you can get. However, there are some other ideas as well. I created a fun little wall hanging for my office that was tailored just for me. 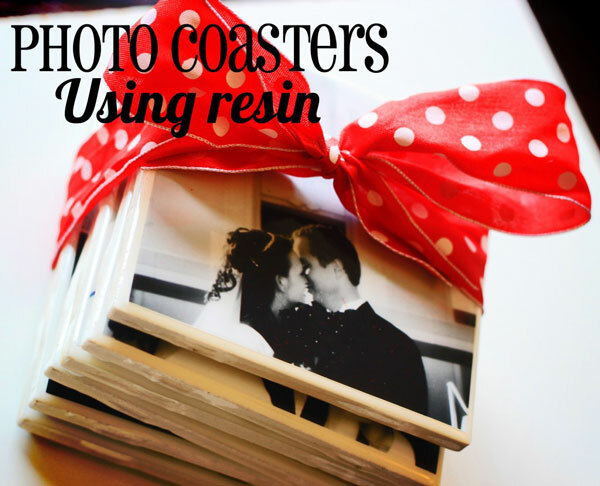 It all started with an old picture frame. Instead of framing a photo or small picture, I decided to make it into a chalkboard. I then put my initial on it using chalk. Since I love birds so much, I embellished the top with some small tin cut outs. 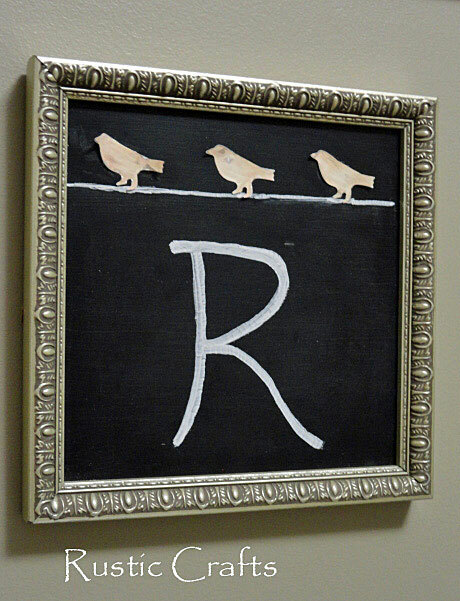 You can see the whole process at my chalkboard tutorial. Here are some more personalized gift ideas. 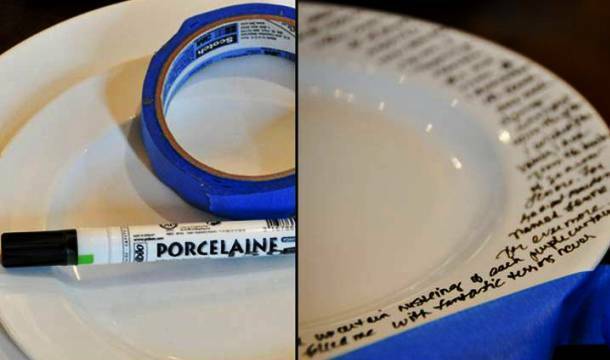 I love the idea of writing some kind of a message or poem on a plain white plate, mug or lampshade! If you have done a tile project in your home lately and have a few left overs, you are all set for this project! You’re welcome LuAnn! It’s never too early to start thinking about Christmas!